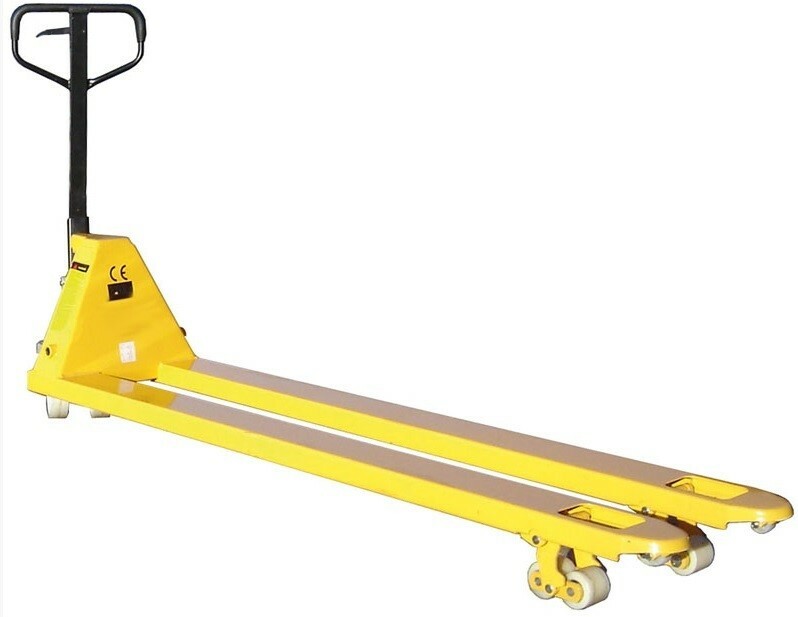 The LTMA20 Pallet Trucks with long forks can be used for handling special pallets with board, glass or other unusually long loads. The LTMA20 range of Pallet Trucks with long forks can be used for handling special pallets with board, glass or other unusually long loads. They can also be used for handling two pallets simultaneously. The Pallet Trucks with fork lengths of either 1500mm, 1800mm or 2000mm provide an economical solution to handling unusual loads.